WYE MILLS — When Virginia Commonwealth guard Ashley Pegram talks about the importance of a good first step, she could be referring to a slashing drive to the basket or her freshman year at Chesapeake College. 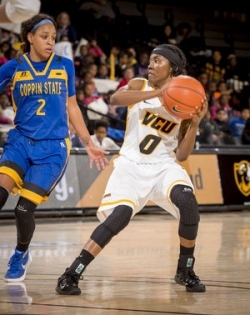 After leading the Skipjacks to the NJCAA Division II national championship quarterfinals in 2013-14, Pegram, 20, is now a second-year starter for the VCU in her hometown of Richmond, Va. 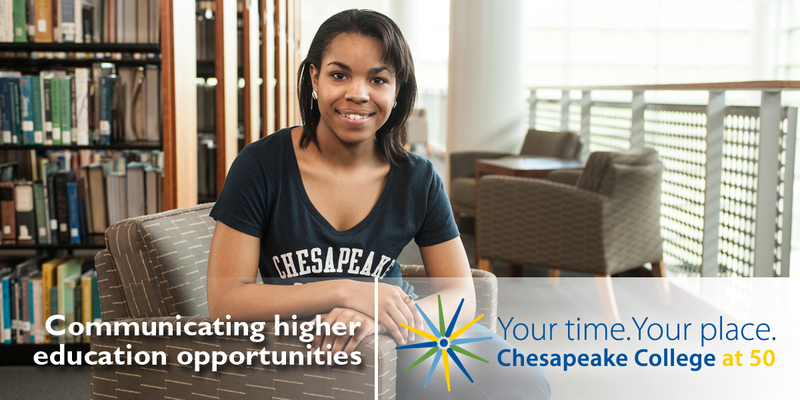 The initial year at Chesapeake allowed her to mature and prepare for the rigors of pursuing a college education while playing Division I basketball. Pegram, now a junior, is studying criminal justice at VCU with a minor in homeland security. On the court, she’s averaging nine points a game for the 14-6 Rams. VCU had a strong non-conference start this year, according to Pegram, including a road win against 17th-ranked Arizona State University, the Rams’ first victory against a Top 25 team since 1988. She led VCU in scoring during victories against Coppin State, Furman and University of Maryland Eastern Shore. The team is now in the thick of its Atlantic 10 schedule, where it sits in the middle of the pack with a 4-5 record in conference games and 15-7 overall. The 5-foot-8 guard’s well-rounded skills on the court have contributed to the Rams’ winning record. Pegram’s journey to Chesapeake began when Skipjacks coaches first observed at a high school all-star game in Richmond. The staff told her that after a year at Chesapeake, moving up to a Division I school was a possibility, as long she played well and achieved good grades. Pegram averaged 23.1 points, 6.8 rebounds and 4.1 assists for the Skipjacks. She was one of only 10 players nationally — and the only freshman — named to the NJCAA Division II All-America team. Division I offers for Pegram soon followed from the likes of Old Dominion, East Carolina and Norfolk State. But the choice to return home and play at VCU was attractive.